THE MOST EFFICIENT MICROINVERTER FOR YOUR SOLAR SYSTEM. APsystems microinverters for residential and commercial solar systems.Click here for more details. Solar installations using APsystems microinverters are typically up to 20 percent more efficient than conventional “string” inverter systems. That’s like having more solar modules on your roof with the same-sized array. With no high-voltage DC current in the system and no risk of a dangerous “arc fault,” APsystems microinverters are unmatched for safe, dependable power inversion. The APsystems microinverter is manufactured to the highest quality standards and is backed by a standard 10-year warranty (25-year buyer option) that guarantees the longevity of your investment — you’ll always have confidence in your system. 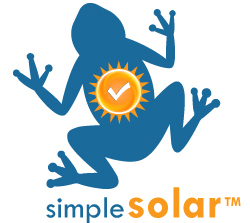 Click here to put solar on your home! APsystems YC600 smart-grid micro is here, and BLUE FROG HAS IT!